书籍简介: People love to buy. They love taking home a great product, and they definitely love getting a great deal. But, unfortunately for anyone in sales, people hate being sold. They hate feeling like they've been convinced to buy something or tricked into a purchase―even if they want the product you're selling. That's why sales is harder than ever, and that's why you have to change the way you operate if you want to sell more and keep your customers coming back. This one-of-a-kind sales guide takes a revolutionary perspective on the art of selling: that knowing how to sell isn't enough. 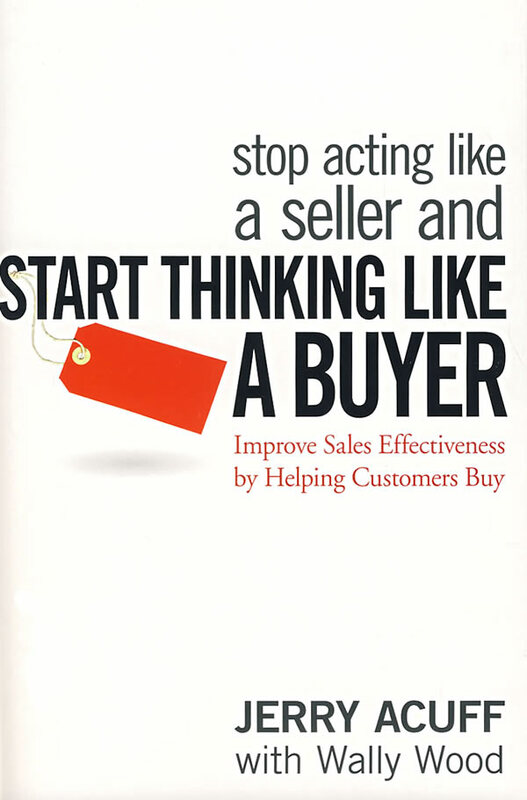 You need to learn to think like a buyer in order to sell more effectively. You have to understand the buying process and what your customers want―not from a salesperson's perspective, but from the customer's. When you sell, you're usually trying to overcome the customer's natural aversion to being sold. Stop Acting Like a Seller and Start Thinking Like a Buyer offers a \\\\\\\\\\\\\\\\\\\\\\\\\\\\\\\\\\\\\\\\\\\\\\\\\\\\\\\\\\\\\\\\\\\\\\\\\\\\\\\\\\\\\\\\"buying\\\\\\\\\\\\\\\\\\\\\\\\\\\\\\\\\\\\\\\\\\\\\\\\\\\\\\\\\\\\\\\\\\\\\\\\\\\\\\\\\\\\\\\\" model that changes the focus from hard-sell tactics that convince people to buy what you're selling to new relationship-based strategies that help them buy what they need and want. It changes the adversarial buying experience into a positive and rewarding encounter for the customer―and that's invaluable if you want your customers to come back and remain loyal. If you were trained in traditional sales methods and you're struggling to stay ahead of the competition, this is the only sales guide you need. It will help you rebuild your selling methods from the ground up, leading to a higher level of achievement and much happier customers. You'll master a new mindset for dealing with customers, learn a new and more effective sales process, and learn to build valuable business relationships with customers that will last forever. Combine those elements, and you'll start selling more than ever―without having to sell at all. Jerry Acuff is CEO of Delta Point, Inc. in Scottsdale, Arizona, a consultancy that helps market-leading companies develop new and effective marketing tactics. He is also the author of The Relationship Edge, from Wiley.